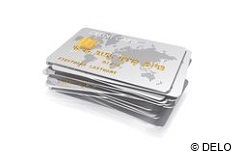 UV-curing chip encapsulants are state-of-the-art in the chip card industry. A precondition for light curing is that the encapsulants transmit light. Increased safety requirements by which the chip is protected from unauthorized viewing and copying, results in the need for black encapsulants with high mechanical loading capacity. This is where UV-curing products reach their limits. Therefore, DELO has developed Dam&Fill® encapsulants. 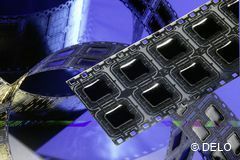 The heat-curing adhesives are optically intransparent, provide a very high degree of mechanical protection, and are easy to process on existing encapsulation systems. DELO’s Dam&Fill® compounds are absolutely opaque even in thin layers.